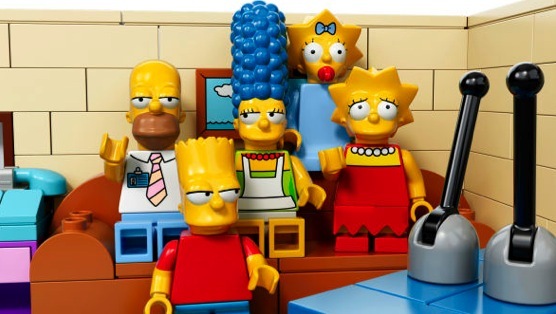 To be fair, the show draws attention to this before we even see the characters in their Lego forms, as Homer is awoken from a dream, screaming about how it’s not selling out, but co-branding. More importantly, it was decided that simply presenting the episode in Lego form was not enough for good television, and they actually thought of a way to explain why we were seeing everybody as Lego. It has to do with Lisa and Homer’s relationship and a giant Lego statue falling on Homer and knocking him out and so on. What really matters is that there is actually a bit of successful emotional storytelling tied into this, helping to propel the episode forward, and making everything less gimmicky, if not entirely gimmick-free. Additionally, “Brick Like Me” takes advantage of this chance to play around with Legos. The animation is really interesting, if limiting, which would be an issue for more than one episode, but it still makes for a fun half hour or so. We get to see some of the expected jokes, with people falling apart and such, but there are also plenty of funny moments. Some jokes would have even been funny without the presence of Legos to prompt them. It is as if everybody’s creativity got a boost from this opportunity to fool around. There’s also a Bart-related subplot that reinforces this idea of creative effort versus following instructions, which feels a bit too much on the nose, but what are you going to do? They have to do something with Bart, and it winds up playing into the episode’s conclusion anyway. Plus, we get to see a cannon shoot lions at pirates and ninjas. That’s not something you get to experience all that often, particularly in the realm of well thought-out plotting. This has been a fairly lackluster season of The Simpsons, and one expects that 25 seasons and 550 episodes will wear on you. This Lego episode could have been tone deaf and lazy, but instead it is far and away the best episode of this season, and one of the better episodes in recent memory. It’s clever and visually impressive and, most importantly, quite humorous. This used to be a show that could make you laugh uproariously with frequency—without resorting to special event episodes. Maybe that isn’t the case so much anymore, but there is still the capacity for top-notch television floating somewhere in The Simpsons universe.